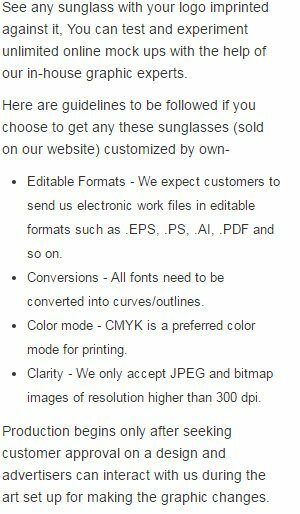 Pro Navigator style custom sunglasses are favored by many advertisers as corporate gift because it offers them easy visibility. This sunglass is also favorable to advertisers working in low marketing budget because they can seek favorable benefits in the form of improved visibility and increased brand value. Advertisers can always order these sunglasses in bulk to seek discounts.